BRAYMER began it's existence in 1887 as a result of the construction of the Chicago, Milwaukee and St. Paul railroad through southern Caldwell County. As America was growing with the railroads, Daniel Braymer and others realized what a great convenience it would be for the railroad to come through this area, giving a direct connection with the larger western cities and with the Hannibal, St. Joseph and Wabash Railroad at Chillicothe and Breckenridge, Missouri. Daniel Braymer had large holdings of land that were donated for the right-of-way for the railroads. He also worked very hard to get them here so the town was named after him. The first passenger train went through Braymer on December 19, 1887, amid great rejoicing. It was an event of such significance that there was a typical "Braymer Crowd" present and there were speeches and the firing of anvils. The first railroad depot burned during a 4th of July celebration in the park we now know as Tait park. A replacement was built, but it also burned in 1934 in the middle of the great Depression. A third depot was constructed in 1935 and was later torn down in 1980 after the Milwaukee Road went bankrupt. 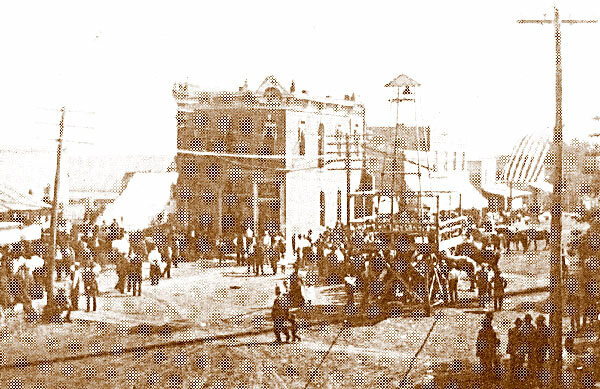 The business section of town ran east of Second and Main, but fire destroyed most of those wooden buildings and changed Main Street to run North & South. 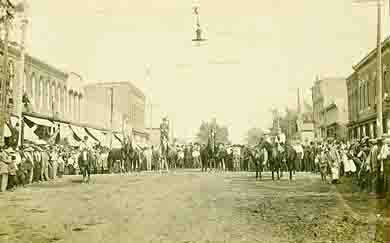 Braymer became known as the "Biggest Little Town in Missouri". Today, Braymer is still served by the Soo Railroad line, and they have worked to restore the roadbed to first class condition. Trains continue to pass through daily. Braymer is a Fourth Class City, has an AA school, four churches, and many stores serving the daily needs of the community.